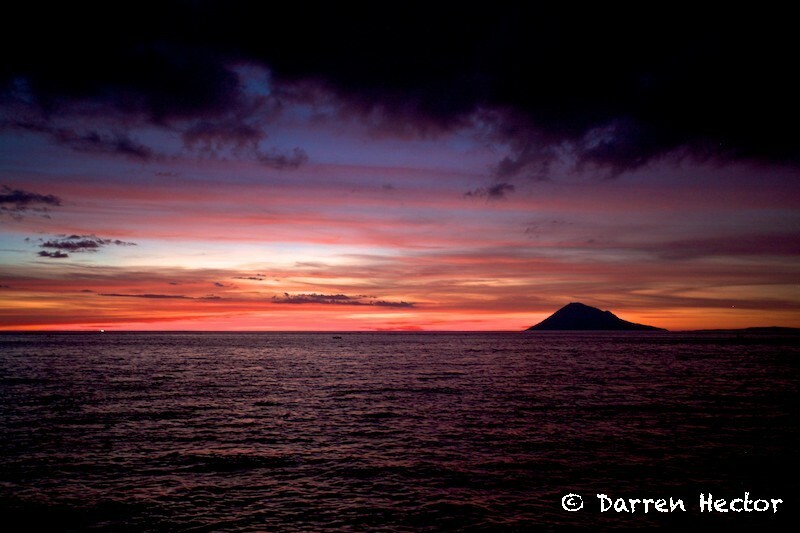 This is Bunaken Island off Manado in North Sulawesi (Indonesia). It’s a place that I remember warmly and one of the greatest places in the world to dive. The ‘critters’ in the Lembeh Strait on the other side of this sliver of land in the Far East are pretty amazing too. I was actually stood in the sea having climbed down some rocks to get some long exposures, and it was near darkness. For the past 13 weeks, every Friday someone has sat in ‘my’ chair and chosen some of my pictures to publish on the site with their own words. I’m really grateful to everyone who has taken part, and I hope that it’s brought those contributors some traffic to their own work too. Just because this image is a sunset doesn’t mean we’re calling it a day on the Guest Editor idea, far from it we have some excellent editors coming up over the coming weeks. You may have noticed that the web site has been a bit quiet for the last couple of weeks because I’ve been busy. I’m really sorry to neglect it, but like everyone I sometimes find there’s just too much happening. In fact, it’s been so busy that I seem to have messed up and not organised a guest editor for today. Anyway, 13 weeks is a quarter of a year, so I thought it would be nice to review what’s been posted, so I’m going to choose my favourite three posts from the 13 wonderful contributors, just in case you missed them. I’ve got a fairly clear weekend to catch up, so hopefully we’ll resume the daily pictures next week, but for today I hope you enjoy seeing some old favourites. If you’d like to sit in the chair, then please let me know through the comments. We do have people booked in up until the end of October, but if you’d like to take part then we’re happy to schedule something after that. Posted on Friday, October 1st, 2010 at 10:51 am. Filed under: Guest Editors, Landscapes Tags: Bunaken Island, clouds, colours, Indonesia, Manado, North Sulawesi, sea, sunset, water	RSS 2.0 feed.